If you’re looking to speed up your Divi web development process, look no further than our high-quality, top-rated premium Divi child themes. A child theme is a series of files that are added to a WordPress website following the installation and activation of a parent theme. 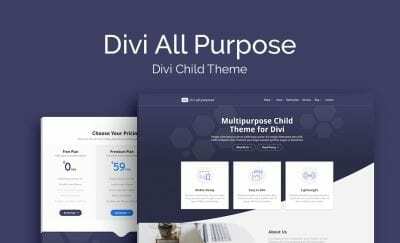 In the case of developing websites with Divi, Divi is the parent theme. WordPress works by first looking to see whether a child theme is present. If so, WordPress will run the code scripts presented in the child theme before looking for and running files in the parent theme. You can add plenty of files to a child theme, each of which will allow you to include your own custom code for special functionality and styling that'll make your Divi website stand out. Most commonly, child themes include a few PHP files (functions.php, header.php, footer.php), a stylesheet (styles.css) and a screenshot. Using a child theme when creating Divi websites is deemed as best practice. Developing this way, you're guaranteed to preserve your custom code, ensuring that any of the changes to your site won't be overwritten in the event of a theme update. Also, using a child theme will make sure that you're not tinkering around with the parent files, which could cause your WordPress website to break entirely. It is possible to create your own child theme to use in development. Our partner company, Divi Space has an extremely handy child theme generator that'll help you create a child theme in no time. We also sell a number of beautifully crafted premium Divi child themes that'll help you build a wonderful Divi website in no time. Premium child themes ship with the core web design and development already complete. With premium child themes, practically every detail of web design and development is taken care of, from the layout to the color palette the font selection and more. All you have to do is enter your own unique content (imagery and text) and your Divi website will be up and running in a fraction of the time it would've taken to build from scratch. 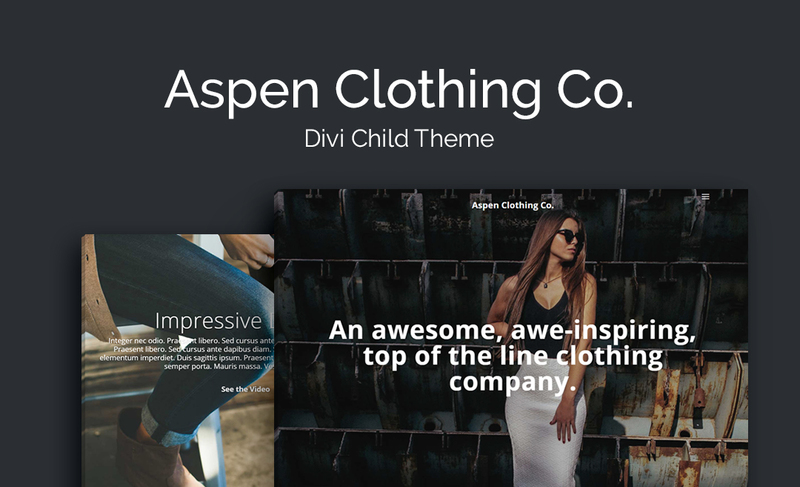 Each of our premium Divi child themes come complete with additional premium features, including the Aspen Footer Editor plugin (which allows you to create a beautiful footer area for your Divi website), a Login Customizer (for you to add custom branding to overwrite the wp-admin login screen) and a 404 error page template (for you to redirect lost site viewers). If you'd like to create an attractive, functional, objective-oriented website in a short space of time, browse through our collection of exquisitely designed child themes for Divi.